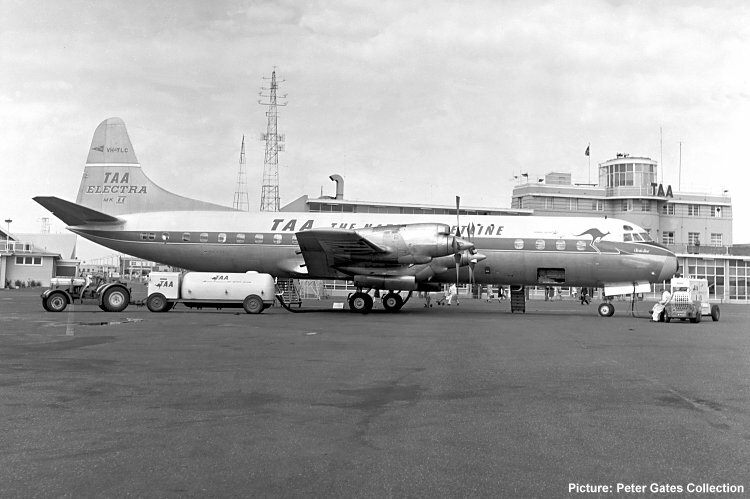 Australia's first turbo-prop airliners, the Dart powered Vickers Viscount and Fokker F27 Friendship, were started electrically with power supplied by a Ground Power Unit (GPU) but the Lockheed 188 Electra required compressed air for engine starting. For this purpose, the L-188A Electras delivered to Trans-Australia Airlines and Ansett-ANA came equipped with four on-board high pressure air bottles, two of which were located in each inboard engine nacelle. These bottles could be charged in flight but with a performance penalty. TAA later removed the on-board bottles but Ansett retained them until their Electras were converted to freighters in 1972. The L-188C Electras delivered to Qantas did not have the on-board bottles as they incurred a payload penalty on long sectors. To start their Electras, Qantas used a Gas Turbine Start Unit (GTSU) which was a trolley-mounted Auxiliary Power Unit (APU). These units were already widely available for starting the Boeing 707. Having dispensed with the on-board bottles, TAA relied on a low pressure Air Start Cart (depicted above) which comprised one very large bottle charged by a compressor mounted on the same chassis. These units were capable of two starts after which they needed recharging, a process that could take two hours! Connection to the aircraft was via a receptacle in one of two locations from where high volume low pressure air was ducted to the starter. Lockheed provided two options for the location of the receptacle, under the rear fuselage or under the leading edge of the right wing at the root. The Electra also required a 90kVA GPU which was connected to a receptacle near the nose to supply electrical power until the engine driven generators came online. None of the Australian Electras were originally fitted with an APU although some were later modified by subsequent operators to include such a facility. Ansett used two different types of start cart. One was a low pressure unit similar to TAA's but comprising two smaller bottles of similar total capacity to the single bottle of the TAA unit. This unit also included a compressor for charging. As the Ansett aircraft retained the on-board bottles, they also had another style of start cart which featured as many as twelve conventional, industrial type high pressure bottles which were used to charge the on-board bottles during turn-arounds. This unit also included a compressor. With all of these Air Start Carts it was fundamental to on-time operations that they should be fully charged before the aircraft arrived! These units are still available today, one being marketed as a Pneumatic Jet Engine Start Unit.